Intel's crack team of engineers helps launch one or two products per year, including the latest generation of HP's Spectre notebooks. You’re forgiven if all you notice about the leather-bound HP Spectre Folio tablet is its luxurious exterior. 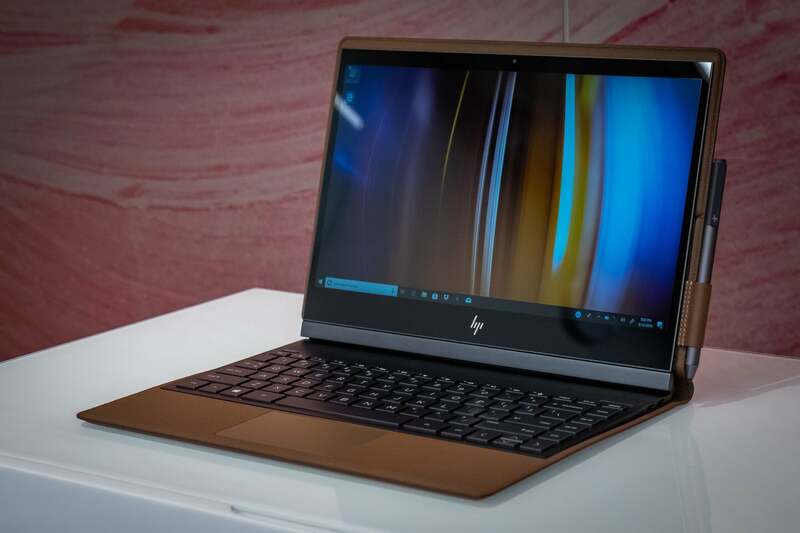 But beneath HP’s Spectre stamp also hides the product of a rare collaboration between Intel’s top engineers and select customers, which helped extend the Folio’s battery life to a whopping 18 hours. According to Intel, the Spectre Folio is officially the lead platform for Intel’s Amber Lake, the low-power Y-series processor that represents the latest branch of 8th-gen Intel Core processors. 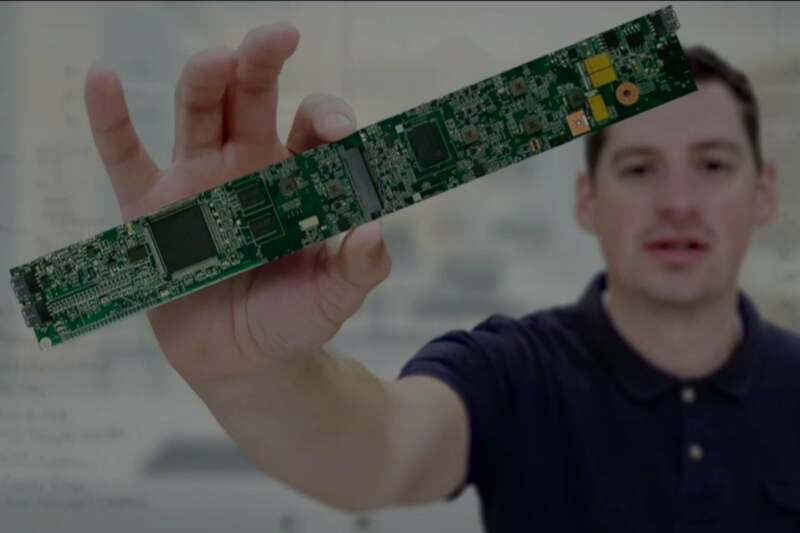 But it’s also a product of the Innovation Excellence Program, where Intel’s top engineers devote themselves to one or two key customer products per year. HP’s Spectre Folio is a lovely ultralight notebook that’s made out of something that’s not normally associated with computers: leather. The two companies worked closely together to optimize the layout of Intel’s Amber Lake 8th-gen Y-series Core processors, the associated memory, and other components to minimize the space the motherboard required. All told, the two companies shrank the Folio’s motherboard by 20 percent, from 15,000 to 12,000 square millimeters—not the smallest tablet motherboard ever created, but in the top 1 to 5 percent, said Ryan Granchalek, a member of Intel’s sales and marketing group who worked with HP as one of the liaisons for the project. HP filled up the extra space with additional battery capacity. What this means to you: Whether a customer like Asus or HP worked solo on a notebook or whether they received assistance from Intel doesn’t really matter in the grand scheme of things—though if you were looking for an assurance of quality, this is it. It also makes you wonder: what upcoming products will tap into Intel’s top engineering talent. The motherboard Intel and HP designed is the long, silvery strip in the middle, with all of the components mounted to it. The HP Spectre Folio isn’t the first Amber Lake platform to ship. But it is the first to feature Intel’s new LTE 7560 modem, Intel’s latest effort to re-enter the communications chip space. It’s also among the first to feature Intel’s 1-watt panel technology that the company announced at Computex, which will significantly extend battery life as well. 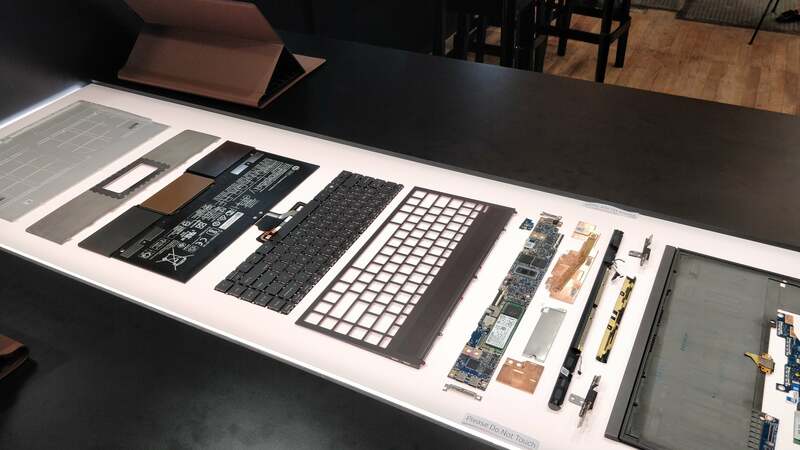 All told, the engineering challenges involved—optimizing the layout to enable a smaller board, dealing with dissipating heat in a fanless tablet that’s surrounded by leather—created some “fun challenges,” Granchalek said. This “exploded” view of the Spectre Folio shows how all of the different layers are mounted on top of one another. At the Spectre Folio’s launch, Tan took pains to note that the Spectre Folio isn’t wrapped in leather—it’s bonded to it. The magnesium and aluminum frame houses all of the electrical components, with the battery and touchpad stacked on top. Then comes the keyboard and its housing, with the panel on top. “Essentially, we are marrying metal and leather into a unified PC,” Tan said. From Intel’s perspective, this was a job for what it calls its Innovation Excellence Program,. “The way it works is that we keep a certain amount of engineering capacity itself, to really go work on the hardest, most innovative design challenges on an annual, or twice-annual basis,” Newman said. 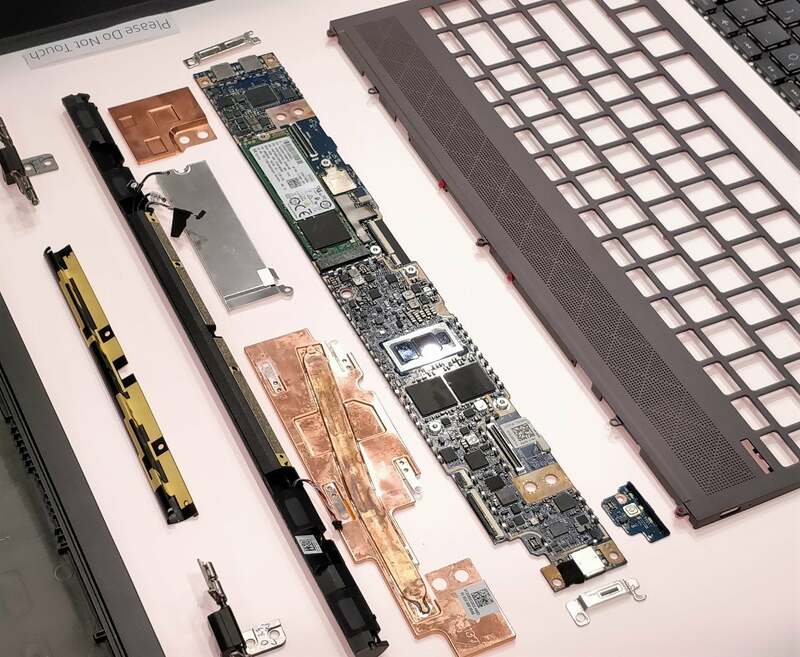 Intel partnered with HP to make the teeny motherboard for the Spectre Folio, a mere strip running along the top of the keyboard. Here’s another view of it. “We try to innovate with a lot of firsts,” Newman added. In this case, the motherboard, the gigabit LTE and its antenna, and the materials all represented unique challenges. As an example, Newman described some of what HP and Intel had to think through in terms of maximizing performance while minimizing heat. 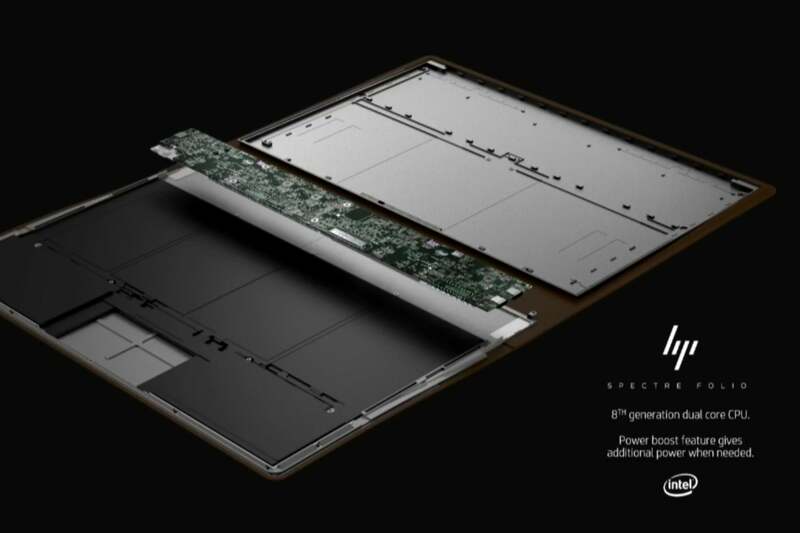 The goal was for the Spectre Folio to run as fast as possible in a high-power state, but without a fan, as well as to eliminate the need for Amber Lake to throttle down to maintain its thermal limits. One of the ways the two companies managed the dichotomy was to space out some of the higher heat-generating components along the motherboard so as to minimize the heat produced. it also necessitated tweaking the BIOS. HP and Intel began work on the Spectre Folio during the first quarter of 2017, executives said. The original Spectre x360 13 was also part of the program, and the Folio won’t be the last project for the Innovation Excellence Program. “There is more exciting stuff to come,” Newman said. “The Spectre Folio is a perfect example of what happens when you put the best of Intel’s engineering together with HP’s best,” Newman added.